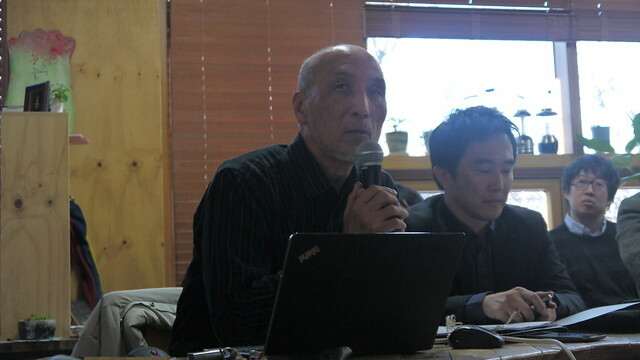 On January 3, 2013, Creative Commons Korea, Korea Association for Information Law [ko] (a Creative Commons project lead by Jay Yoon, a presiding judge at the Seoul Northern District Court), and Haja Center (an alternative educational institution for Korean youth) organized a public event on Internet governance entitled “Global Great Power Rivalries on the Internet”. The meeting was especially focused on the outcomes of the recent World Conference on Information Technology (WCIT) held in Dubai, on December 2012. The primary aim of this event was to inform the public on the main sources of contention raised by South Korea's approval of the controversial WCIT resolution, also know as the International Telecommunication Regulations (ITR). South Korea was indeed one of a few democracies who voted in favor of a resolution that many other countries decided not to sign for reservations over potential dangers for Internet freedom. Susan Crawford, former President Barack Obama's Special Assistant for Science, Technology, and Innovation Policy, was a speaker during the meeting. Other panelists included Professor Kilnam Chon from Keio University, a pioneer of the Korean Internet and an outspoken advocate for open Internet and digital commons, Professor Jaechon Park from Inha University, a long-time expert on Internet governance in South Korea. Judge and Creative Commons Korea project leader Jongsoo Yoon (who is better known outside Korea by his English name “Jay Yoon”) moderated the event. Although the public event was hosted during weekdays, the conference room was full of attendees—a sign that Internet governance has gained interest among Korean media and public. On December 15, 2012, Professor Kilnam Chon already ignited public interest on these issue by addressing the significance of the voting results at the last WCIT. 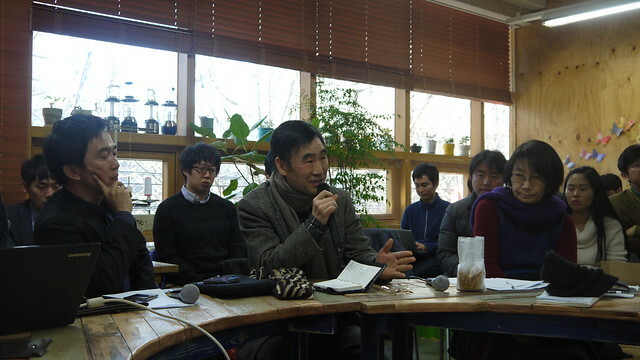 During the Creative Commons’ 10th anniversary party held in Seoul, he argued that the WCIT resolution demonstrates that the age of innocence was gone due to states’ rising interest in influencing the Internet. Furthermore, he stressed the fact that only a small number of democracies voted in favor of the resolution like South Korea. In a response to Professor Chon's public statement, I contributed an article [ko] to Bloter.net, an influential online tech newspaper. In that article I explain why the South Korean government lacks concern for Internet freedom due to its authoritarian legacy, and how it approved of a potentially dangerous resolution for the future of the Internet. Why did South Korea vote in favor of the WCIT resolution? 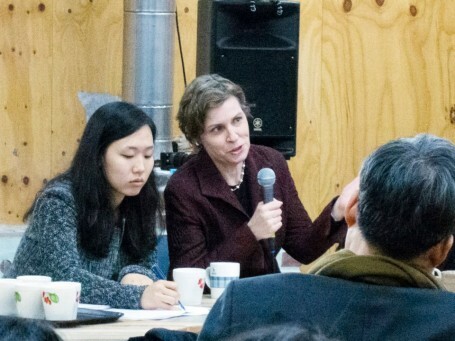 During her lecture, Professor Susan Crawford said that the reason why the U.S. did not sign the new ITR was because they do not believe state control of the Internet is desirable for reasons related to Internet freedom and its association with economic innovation, cultural diversity and political empowerment. She explained that for the same reasons many western countries decided not to sign the new ITR. According to Professor Crawford, the U.S. vision is to keep and develop a multistakeholder approach which has been the modus operandi of the Internet from its nascent stage. She pointed out that a multistakeholder approach is more democratic, more accountable and more beneficial for the long-term development of the Internet. From the left, Judge Jongsoo Yoon, Professor Jaechon Park, and Professor Cho (Han) Hae Jung. Photo by Creative Commons Korea staff member Dayejung (CC BY 2.0). Following Professor Crawford's brief lecture, Professor Jaechon Park tried to explain why South Korea made a somewhat weird decision considering its status as one of the most wired nations in the world. As a chairperson of Korean Internet Governance Alliance (KIGA), a Korea Communications Commission affiliated organization, he was able to provide an insider perspective on the issue. He started by pointing at the “severe imbalance existing in the Korean delegation to the WCIT”–a team that was selected by the government. Although it was known in advance that the WCIT would address Internet governance issues, most members of the team came from the traditional telecommunications sector, with only a few Internet experts. Only one member of the civil society was included in the team. The team could therefore hardly claim to represent the diversity of interests and values within the Korean society. Professor Park also thinks the Korean delegation voted with diplomatic concerns primarily in mind. South Korea doesn't want to upset a certain number of countries ahead of the plenipotentiary meeting of the International Telecommunications Union (ITU) (the UN agency in charge of global telecommunications regulations and the WCIT organizer), to be held in 2014 in the city of Busan. Professor Kilnam Chon, the “father of Korean Internet,” noted that South Korea wasn't in the majority among full democracies (see the following “infogr.am.”) Although not sure himself why his country voted in favor of the ITR, he asked the audience to think about what it means for the country, the Internet and the future.